So you know when you skins looks and feels abit...'meh'? Whether you've just been neglecting it for a while or you've woken up after one too many G&Ts and you see dull, lackluster skin looking back at you? This, my friend, may be your temporary saviour in mask form. I like to use this product once a week, normally on the weekends when I have a little more time on my hands. The mask is a sort of clay-y consistency and I apply it to dry skin, if I'm using it at night I put it on after I've cleansed so my skin is make-up free. When it is on your face it doesn't have any give any warming or tingling sensations, which I personally like. After around 2 minutes (you can leave it on for a shorter time if you are in a rush) I use a damp muslin cloth to buff it off. You really can see a brightening effect afterwards, my skin looked 10 times better. It makes for a lovely radiant base for lighter make-up, such as tinted moisturiser. The one thing I would say is that I wished the effects lasted longer, you're looking at about a day really. However it is nice for a little nourishing weekend treatment. To be fair, anything that makes me feel a little more normal on a hungover Sunday is always going to be a winner with me, Liz Earle - you are a goddess. I always love the look of the Liz Earle range but never get round to trying anything - Well a girls got to treat herself sometimes! 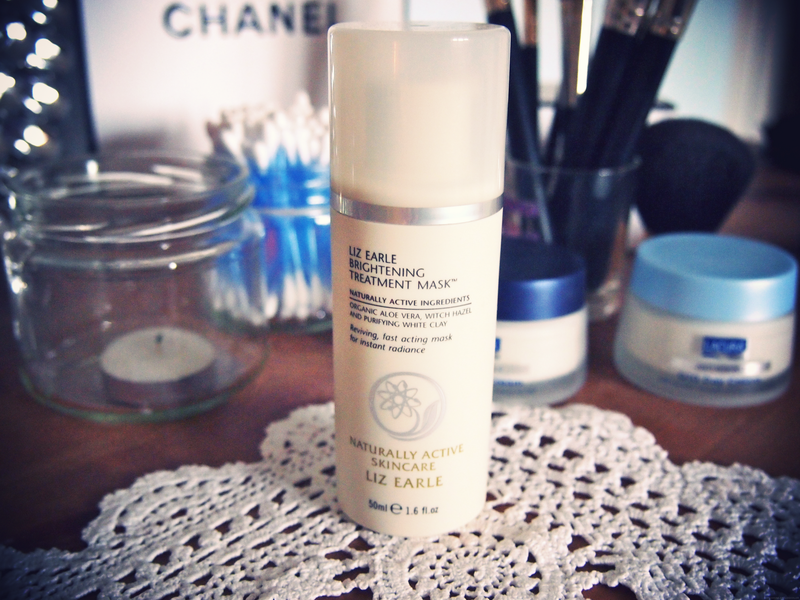 Really need to try some Liz Earle! From protecting yourself from the sun's harmful rays to addressing cosmetic changes that happen over time, taking proper care of your skin can keep it radiant for years to come and help protect against skin cancer and other conditions.